Some may question, what makes a great Smoke Alarms Australia technician? Smoke alarm servicing may seem simple, but, there is a high level of complexity in maintaining them. Our technicians are not only trained for premium service, they are professional, friendly and are located around Australia with all the right tools to get the job done. Our technicians are always on the move, working in WA, NSW, QLD, ACT and VIC. Full time Technicians and Electricians are kitted out in company Kia Rios' or Hyundai Accents'. These mobile offices are equipped with all the necessary tools and resources to meet our servicing commitments. Smoke Alarms Australia cars carry all tools of trade including different types of smoke alarms for property compliance, cards and contact information, ladders for high ceiling servicing, artificial smoke canisters for testing and much more. 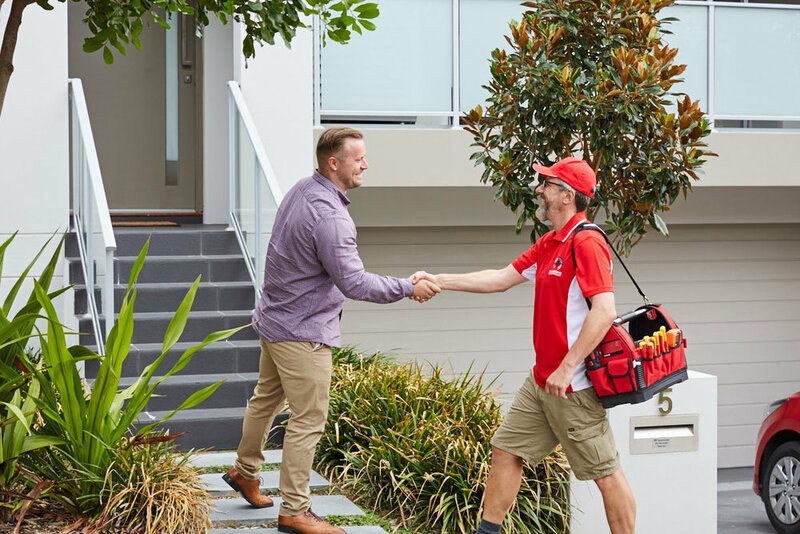 All Smoke Alarms Australia Technicians and Electrician are dressed in red company polo's and a company hat or jacket depending on the weather. Smoke Alarms Australia only uses professionally trained technicians and electricians who are fully licensed and police checked. All technicians carry company identification providing service assurance. Our trusted team of technicians are constantly on the move making as many properties as possible compliant to the local legislation and building code. Safety is our number one concern. If you would like to know more about our service or have any questions, please leave some details below and a member of our team will be in contact with you.